One bit of information I learned when I attended the Building Social Enterprises workshop last month was that Calgary was hosting a conference in early October on this very topic. Aptly named the Social Enterprise World Forum, this event is bringing together people to connect and learn more about this exciting field from across the spectrum: social entrepreneurs, enterprising non-profits, researchers, and government representatives, to name a few. 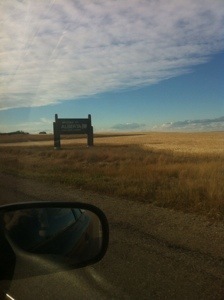 After a long drive from Saskatoon (thanks to colleague and friend Dale Zak of OneStory for taking the wheel! ), I’m here to represent Strong Roots and bring some ideas and resources back home. On the topic of conferences, Leah Goldstein Moses recently provided some great food for thought on evaluating the value of attending such events on the excellent AEA365 daily blog. I hope to follow her three tips, namely setting goals early, checking in and communicating regularly, and capturing and nurturing lessons learned. For the latter two, I’ll take a page from my trip last year to Minneapolis for the American Evaluation Association conference and blog daily on the experience. Because I’m on Canadian soil this time and don’t have to worry about paying for data roaming, I’ll also be live-tweeting when possible, so keep an eye on the Strong Roots feed between now and Friday. For the first tip, setting goals, I have a couple in mind. Some of the sessions I’m attending will help build my own skillsets, such as a session on measuring the impact of social enterprises, another on techniques for sharing failure, and a workshop on marketing for social enterprises (which will hopefully be useful both for community organizations in Saskatoon and my own social enterprise!). The first session I’m attending tomorrow focuses on building a supportive ecosystem for social enterprises in rural contexts, a relevant topic for my work with the Kolo Project. And of course, any conference will include outcomes that can’t be predicted, such as an insightful metaphor from a keynote speaker, information about new and upcoming resources or models, and of course the networking and connecting with people from across Canada and the world. I’m just about ready to head off for the opening plenary and reception, so keep an eye out for tweets and blog posts in the hours and days to come. If you are in Calgary for the event and want to connect, don’t hesitate to contact me via email or Twitter, or just come and find me around the conference!